It’s a wrap. 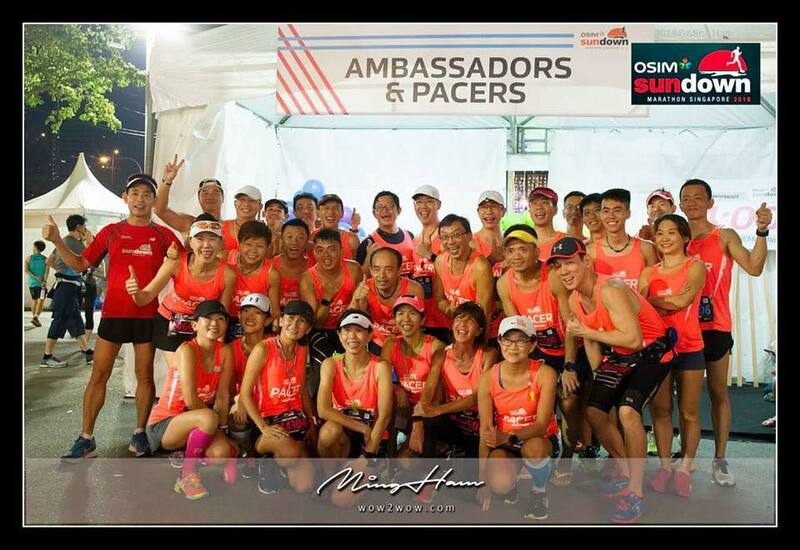 Ops NightHawk 2018 and Sundown Marathon Pacers training came to a good close at the Sports Hub last evening. 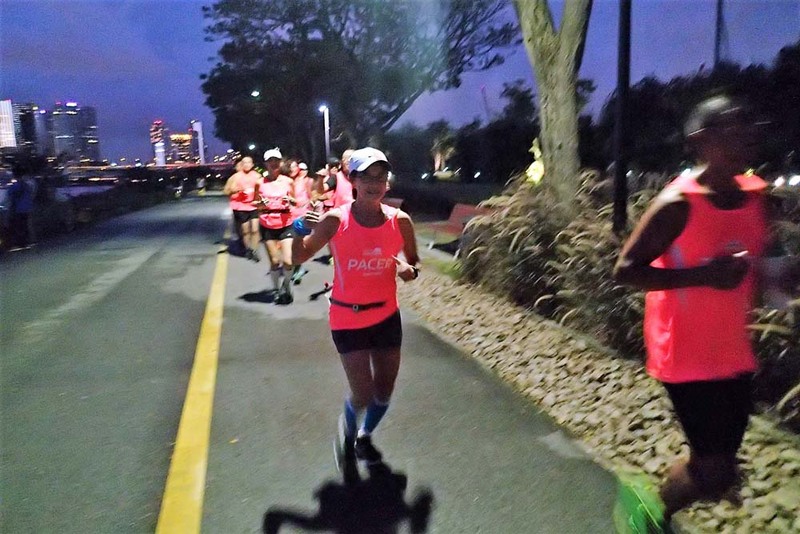 The final training run was a fitting finale for all NightHawks and Pacers who went through 11 weeks and 14 weeks of structured night marathon training. 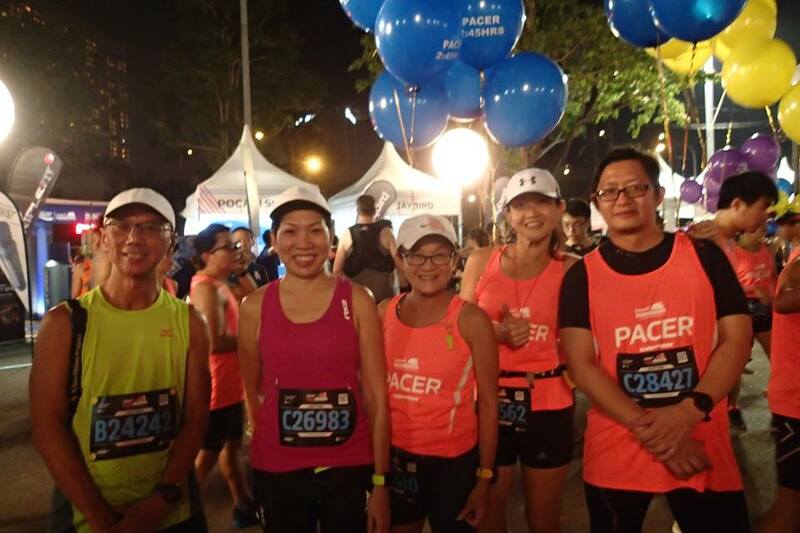 The NightHawk Pacers were decked out in their race night armour for a full dress rehearsal of what’s to be executed on race night. 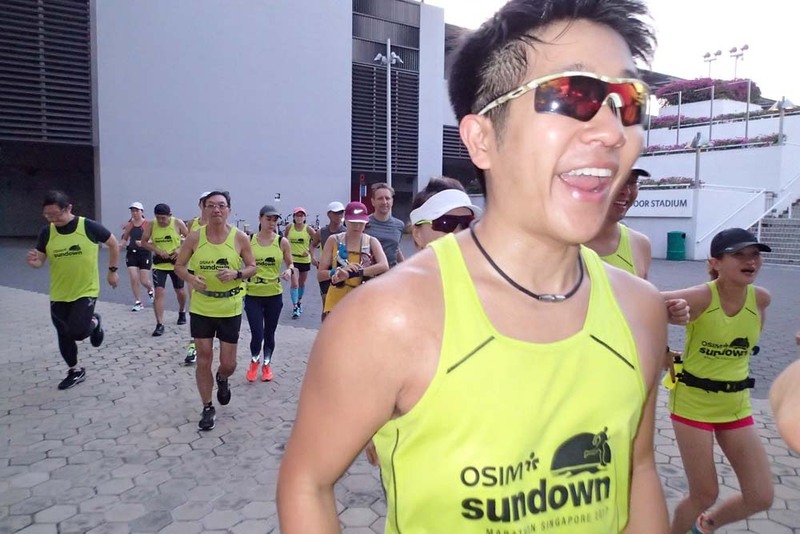 Leading the Sundown Marathon trainees on a 13km (Half Marathoners) and 20km (Full Marathoners) through segments of the Sundown race route next weekend, spirits rang high throughout the run in cooling and windy weather. 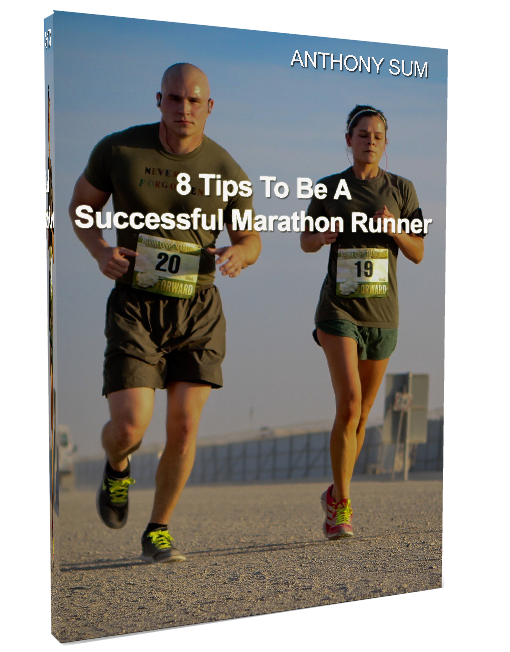 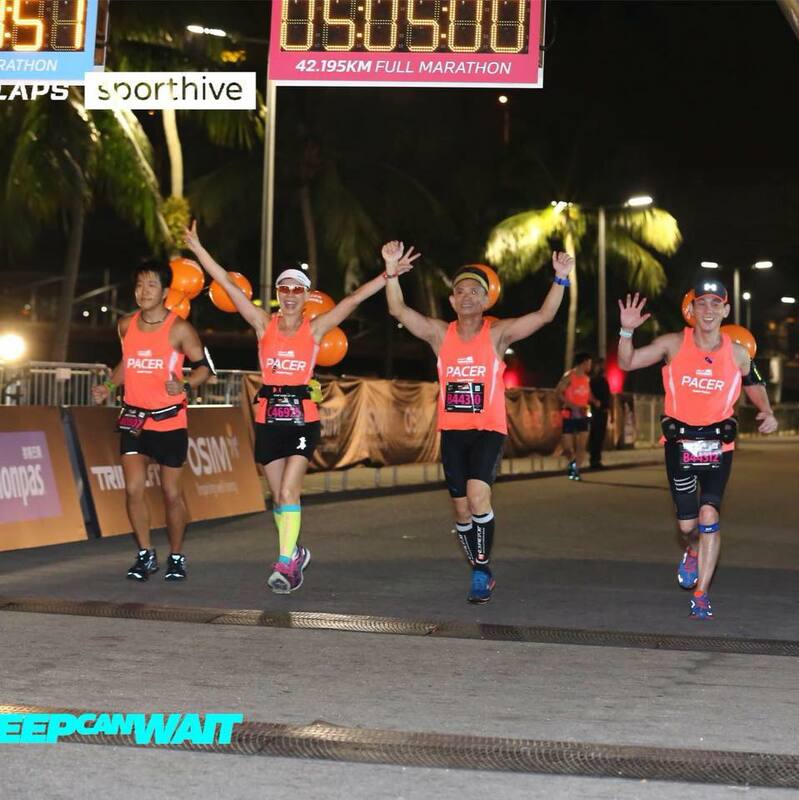 This tapering run at Optimal Pace will prime all NightHawks and Pacers into race day readiness without too much fatigue and stress. 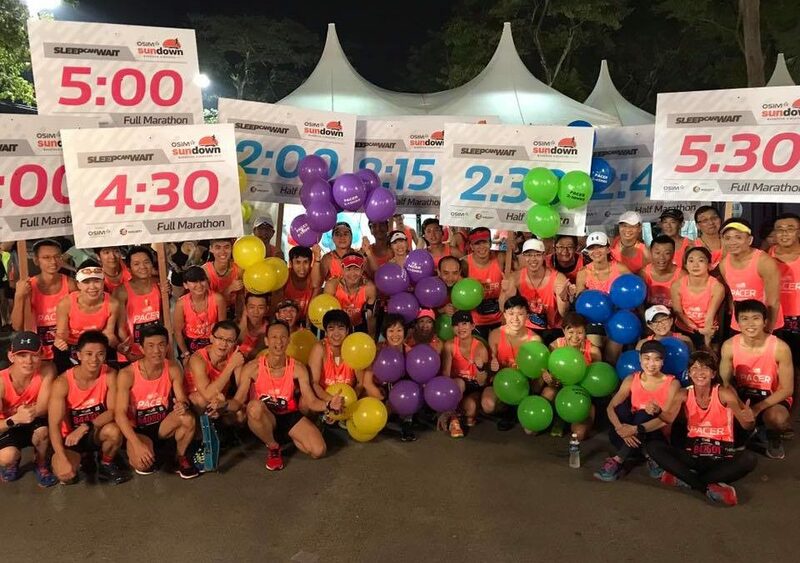 All race day gear and plans (Pacing, Hydration, Fueling) were put into final checks to catch any last minute issues and reconcile them in the remaining days left to the race. 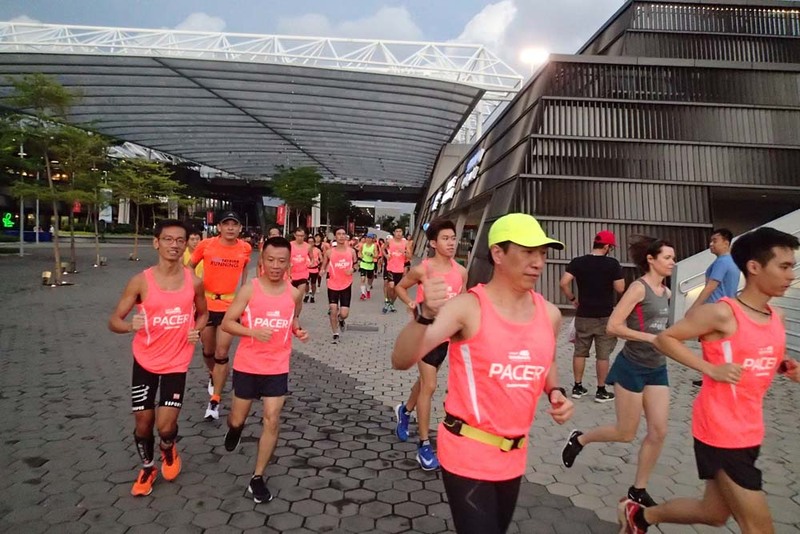 With the full training effects and conditioning over the past 3 months of buildup and progressive long runs both in the night and day, the running economy and efficient pacing abilities shone through in all the Sundown Pacers and trainees. 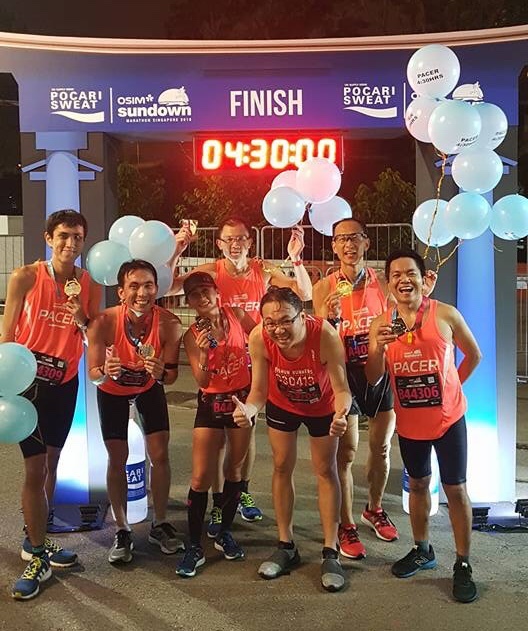 The abilities to manage effort and optimal pacing strategies will put them in good stead for a good showing on race night. 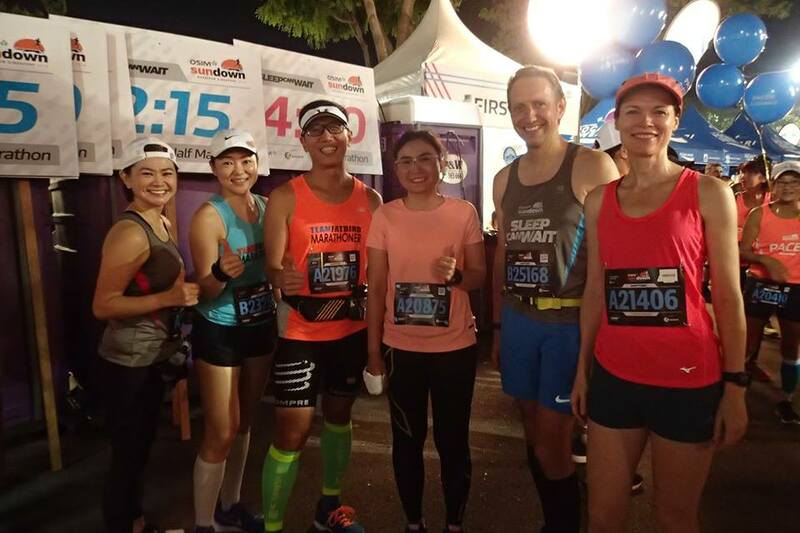 The Team FatBird trainers were pleased with the progress these NightHawks have made over these training period, including successful simulators done during the Sundown Marathon lead up runs. 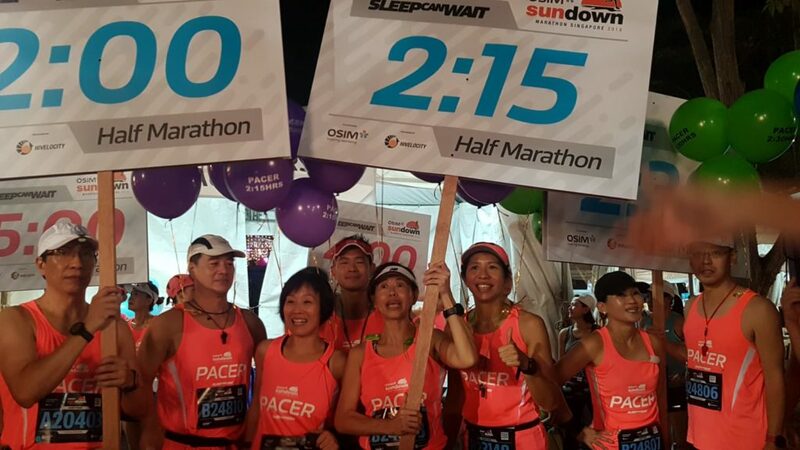 We are confident of the NightHawks’ and Sundown Marathon Pacers’ readiness condition for Sundown Marathon 2018, and would like to wish all of them a highly successful and fruitful performance on May 19. 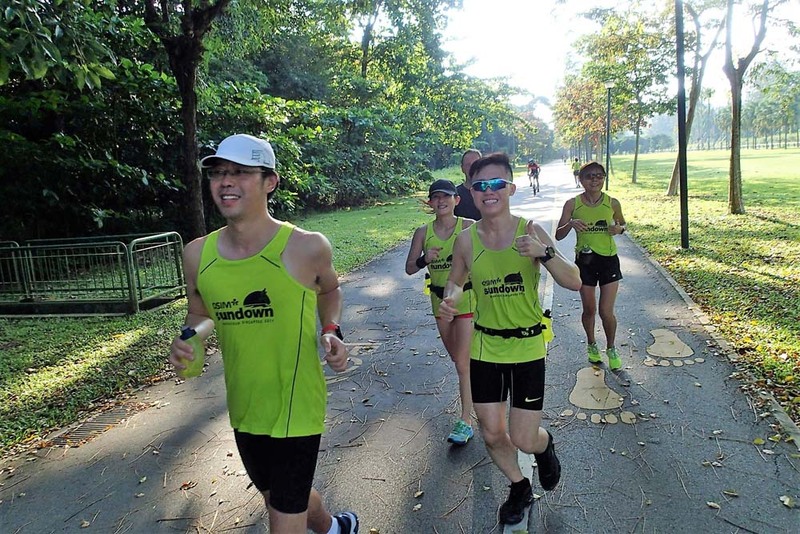 With the longest run completed last weekend, the NightHawks came into week #10 of training to complete the tapering process with 18km and 28km Optimal Pace Long Run. 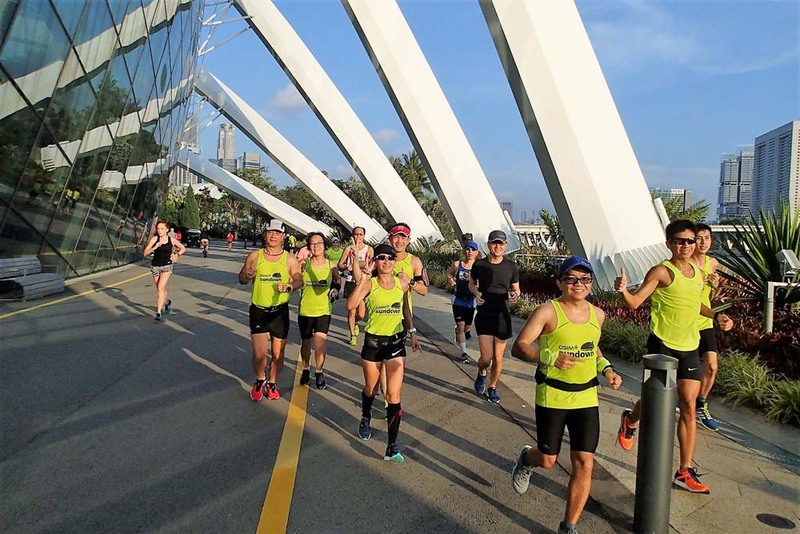 As conditions would have it, the sun was beating down throughout the whole training run, as if to test the mettle of the NightHawks and Kookaburras. 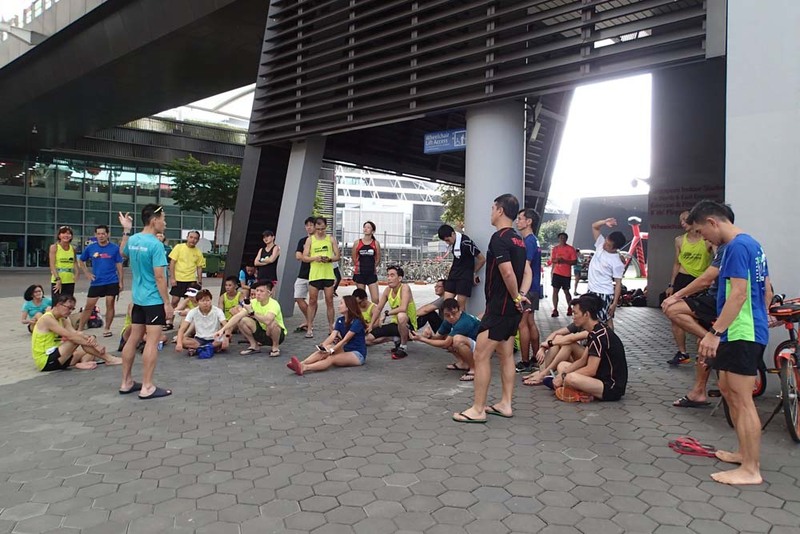 It was also a good opportunity to do some heat and humidity conditioning, amping the resilience of the marathoners to be able to tackle even more challenges and enhance race readiness. 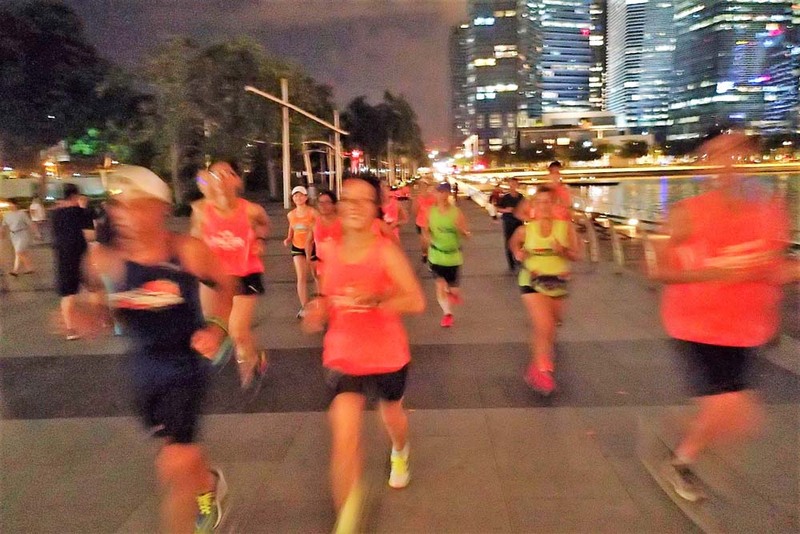 The Kookaburras who are in week #5 of training for Gold Coast Marathon 2018 also joined in the fray for the 28km Optimal Pace Challenge. 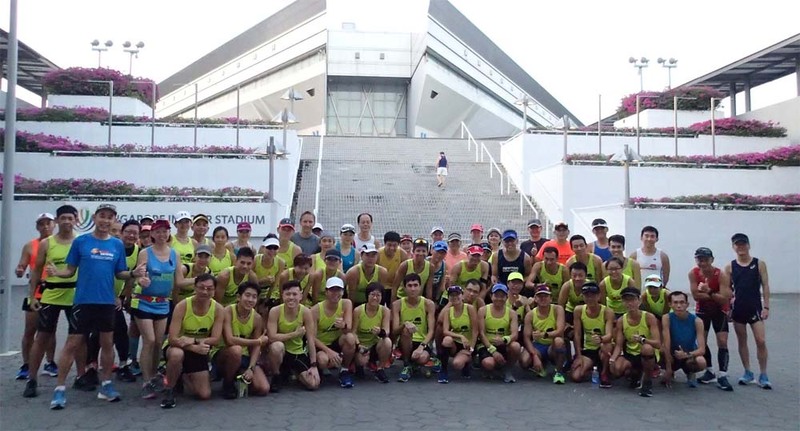 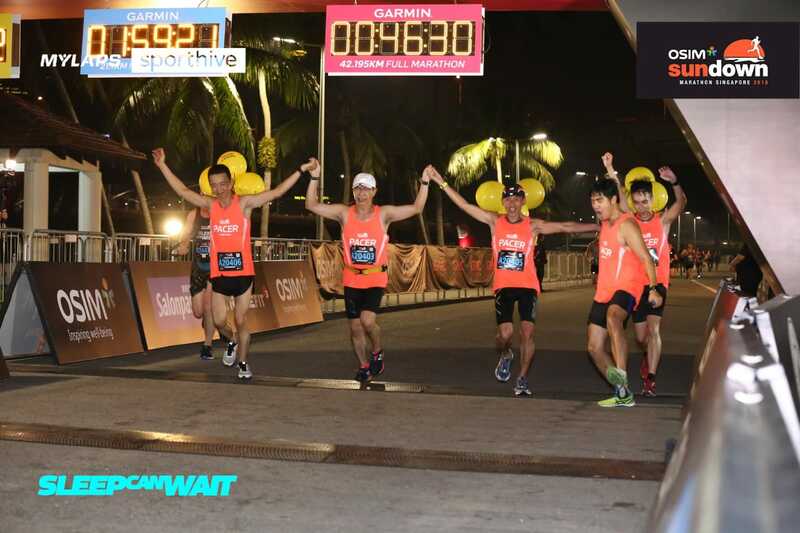 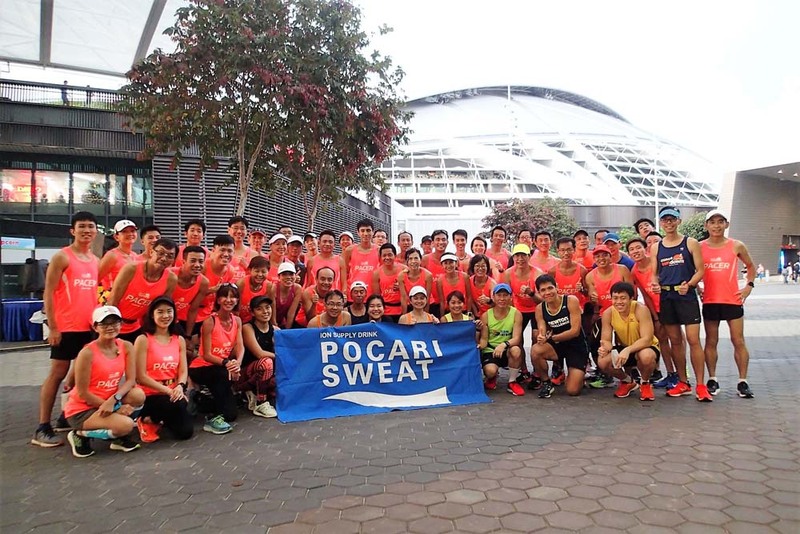 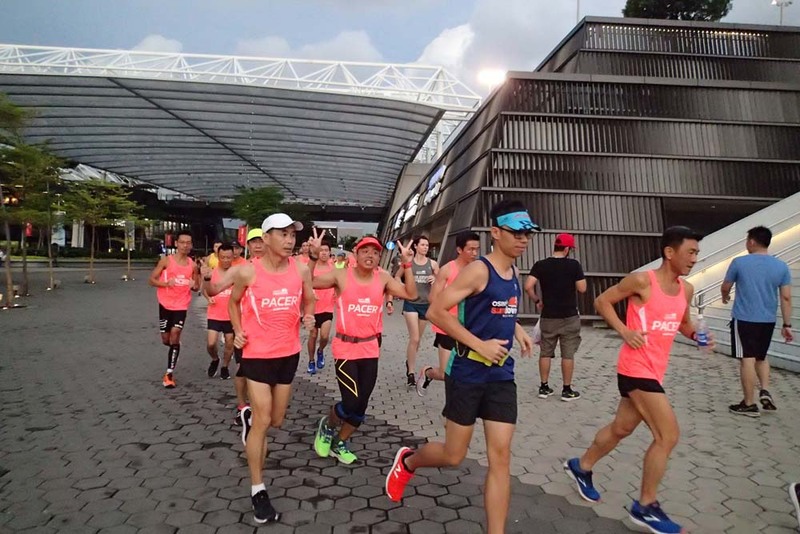 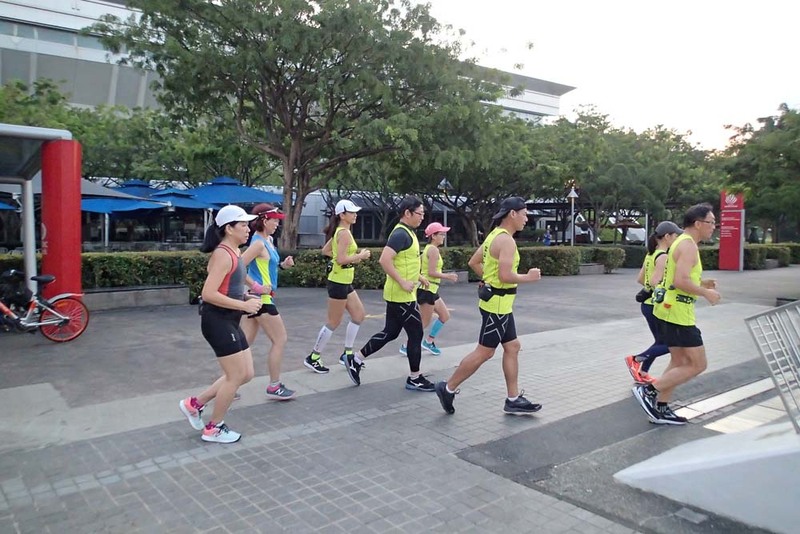 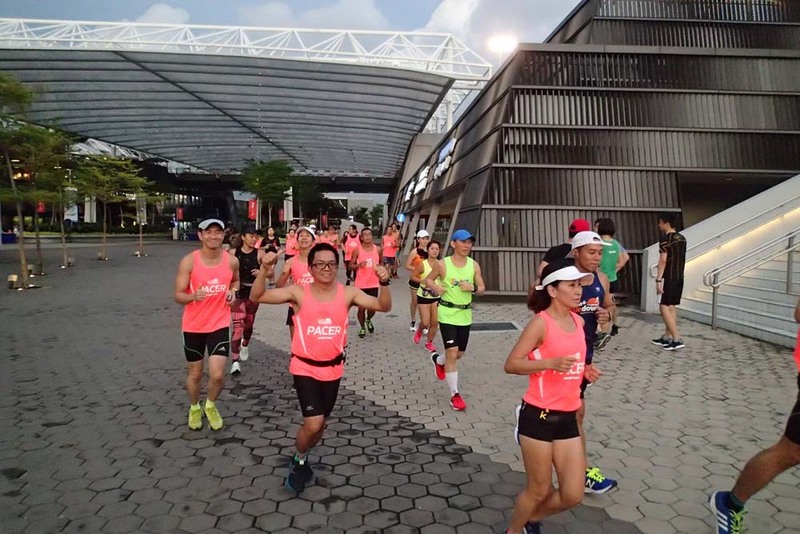 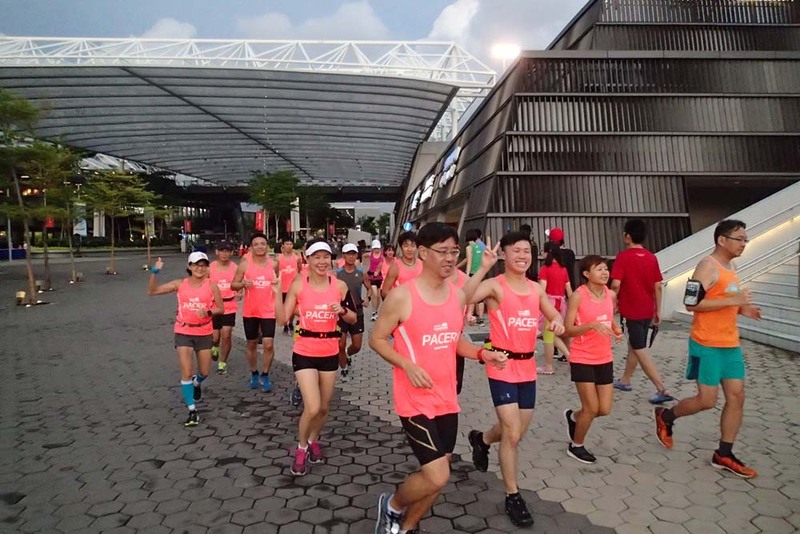 The Sundown Marathon Pacers and Gold Coast Marathon Trainers combined forces to lead the different training groups through the Gardens, Barrage, ECP and Tanjong Rhu routes, with 2 small hills ascents at Alpha Loop. 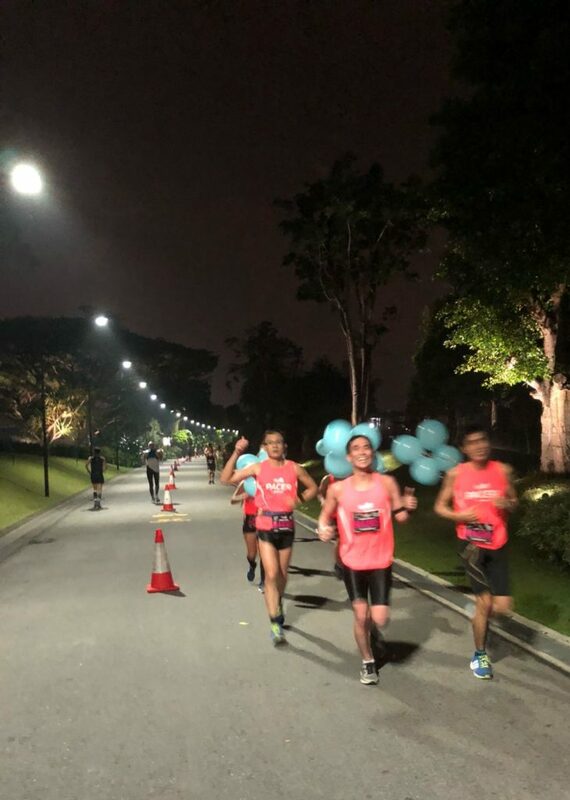 With the foundation of 9 weeks of basebuild and pace training, the NightHawks ran strong with smooth transitioning from Marathon Pace to Optimal Pace after a 3-5km warm up at Marathon Pace. 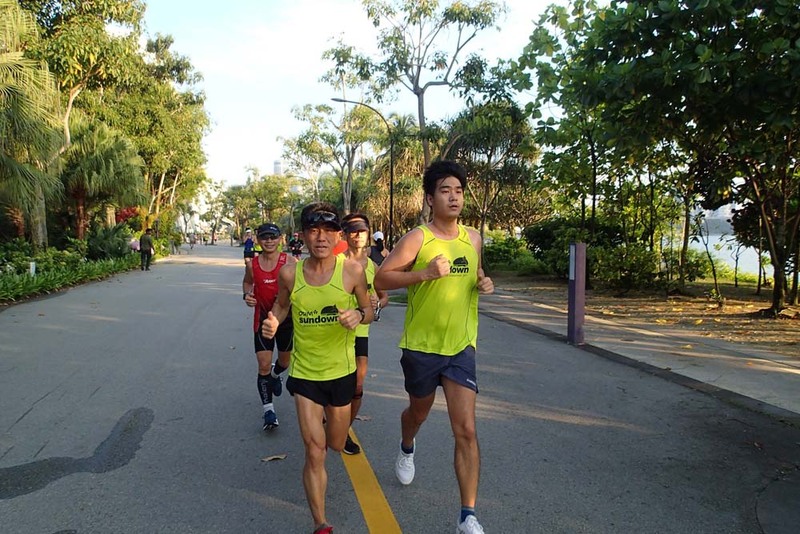 However, the heat of the sun and humidity soon got to the trainees who slowed down slightly midway through the run. 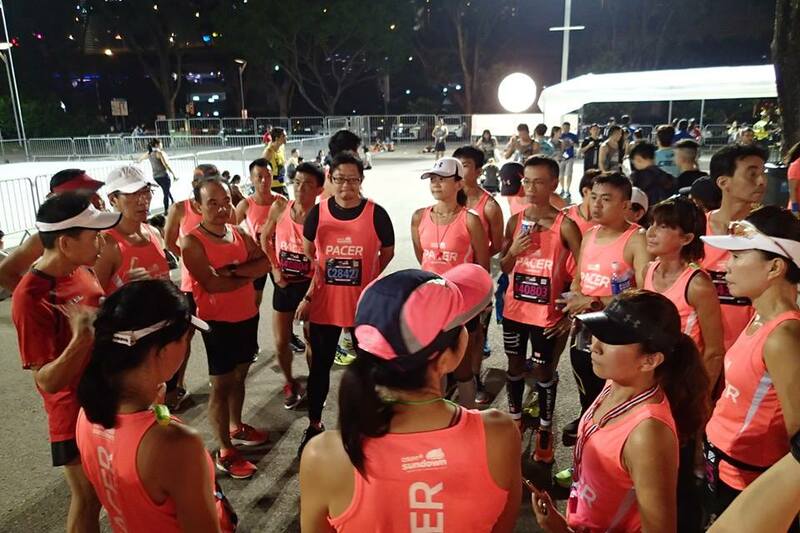 Hydration and nutrition plans were put to the tests, which enabled the NightHawks to sustain through the remaining portions of the run. 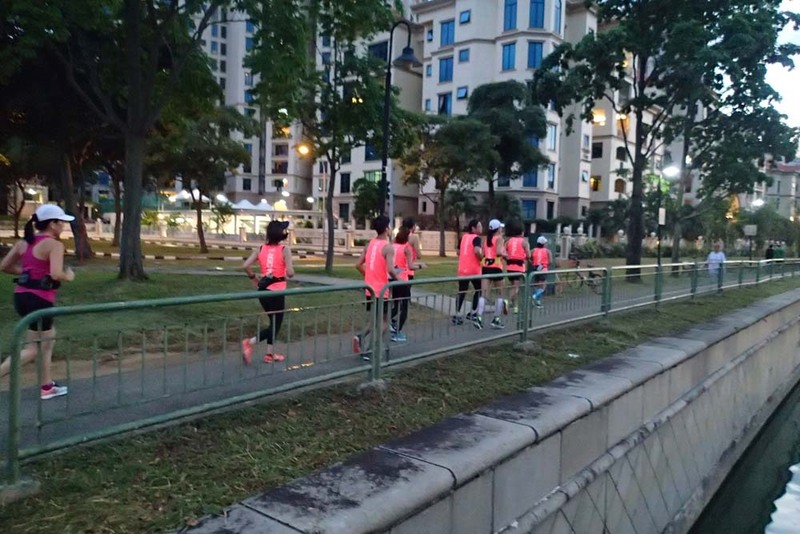 The majority of the NightHawk trainees did very well to complete their workouts and sustaining target paces through their 18km and 28km runs respectively. 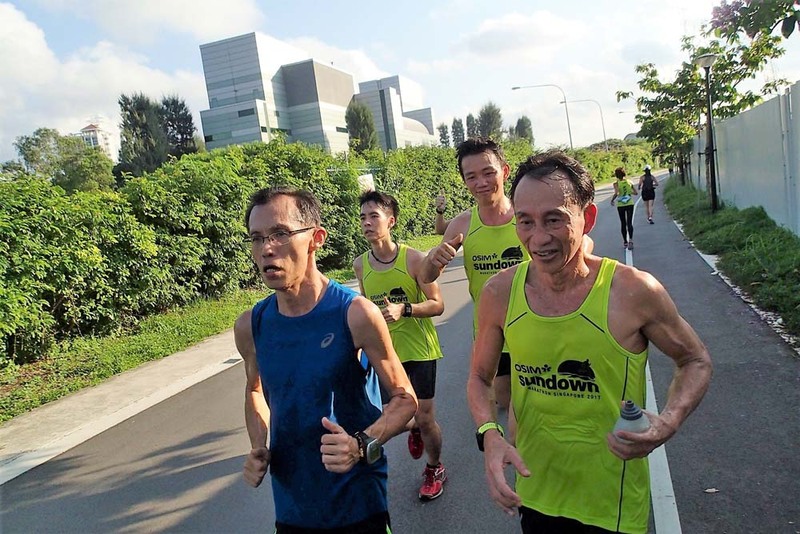 The piercing heat from the sun did take a toll on many of the runners after 20km, and the water stops had to be slightly longer to cool the bodies down to sustain the effort for the final 8km. 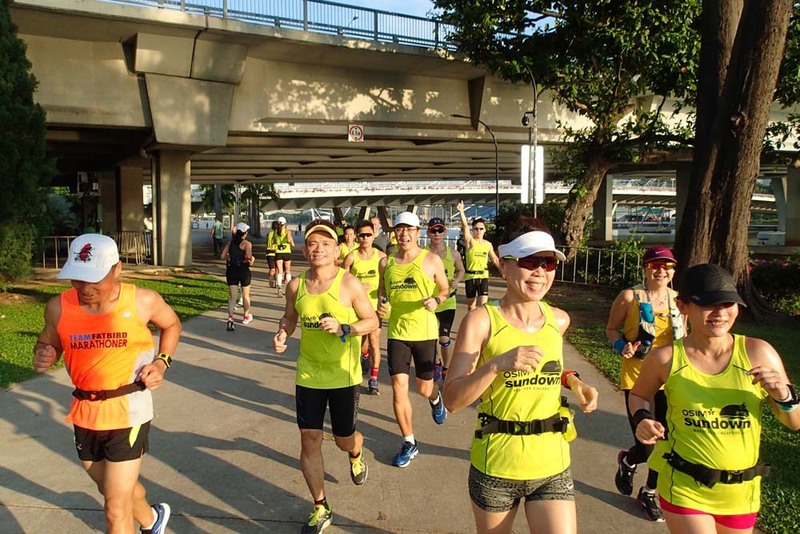 As the NightHawks enter the final week of tapering, their weekly mileage will be reduced to 70-80% this coming week and will be further reduced to 40-50% in race week, with training intensity remaining. 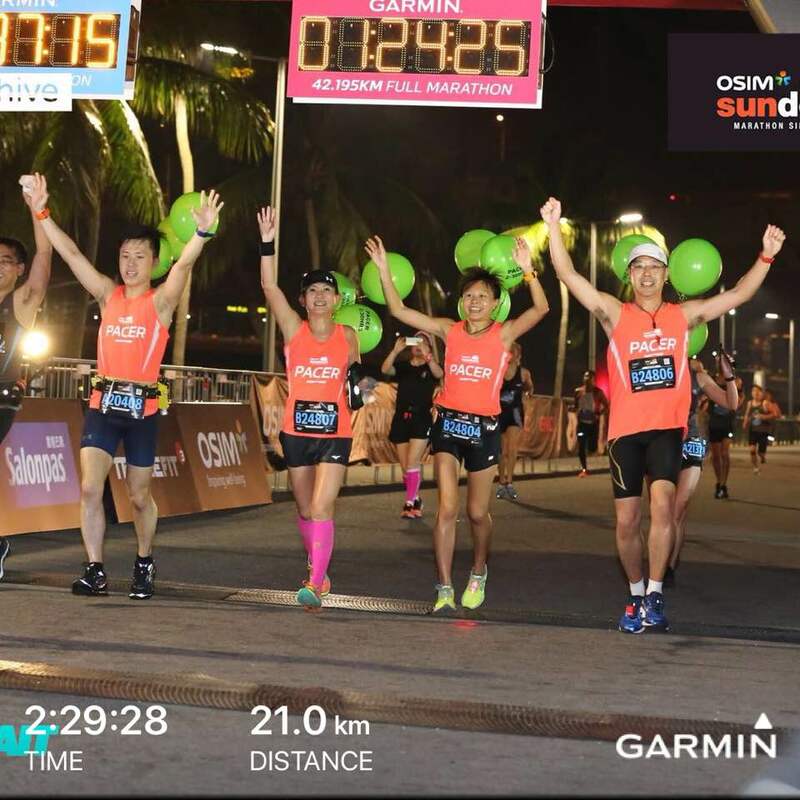 This will be the period to also attend to all the minor niggles and have proper sleep and nutrition to be in prime condition for race night. 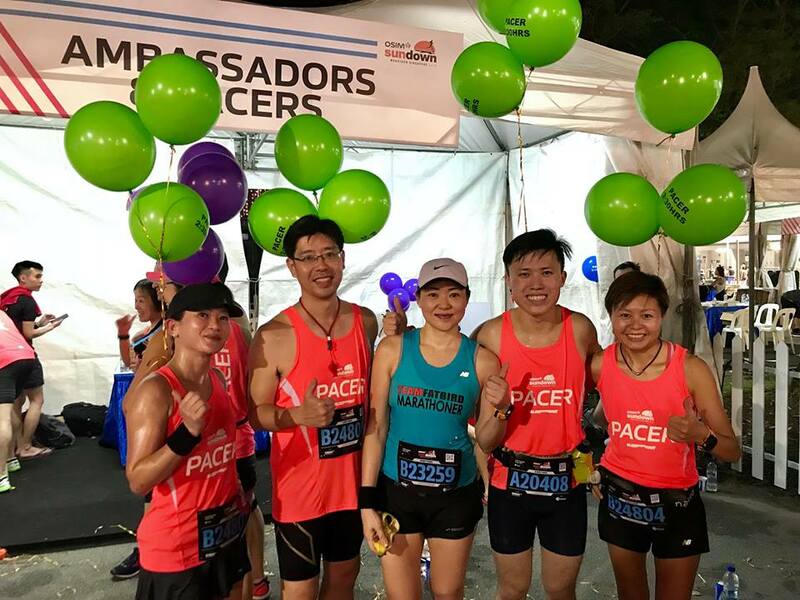 There will be a final night run next weekend to put all race preparations together and to ensure race, hydration and fuel plans are put to a final round of practice and trials. 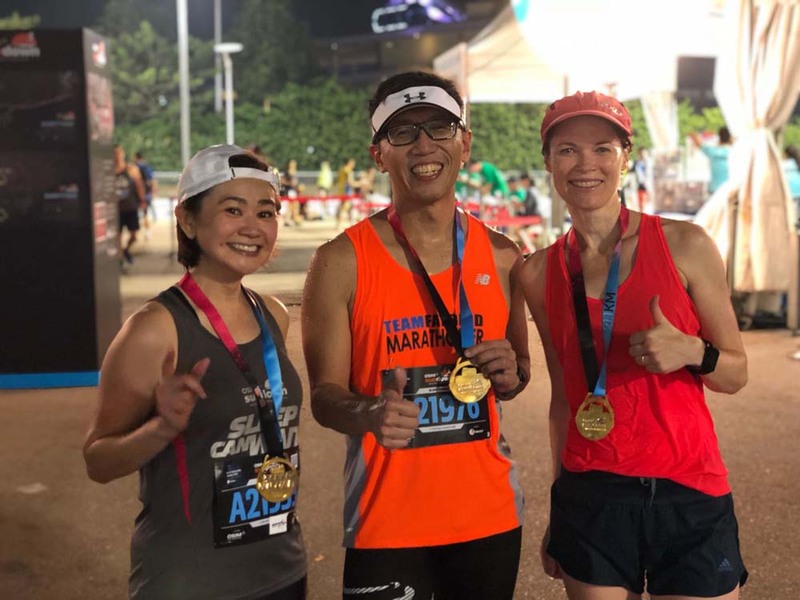 We are all excited with the progress and readiness of the NightHawks, and cannot wait for them to go out to register more Good Times and Personal Bests on May 19. 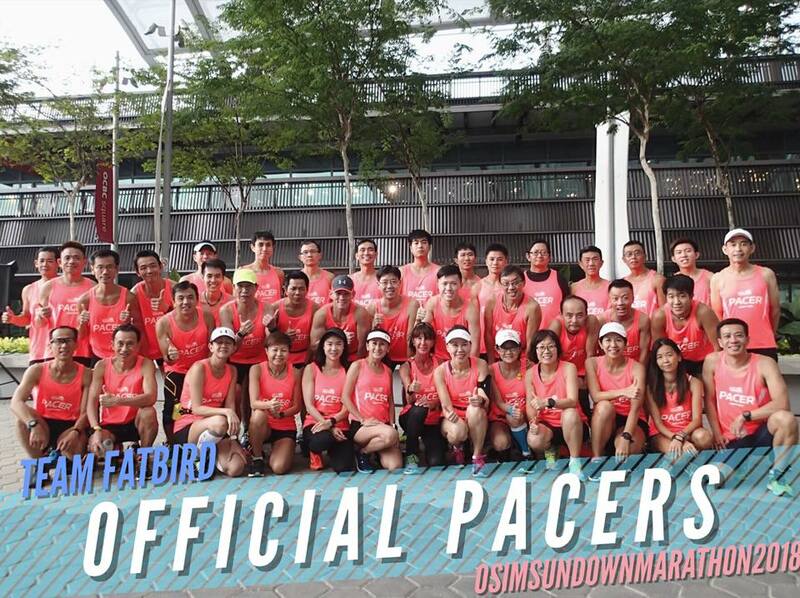 The NightHawks Are Sundown Marathon Ready!